After having the pleasure of reviewing ModNation Racers on the PS3 as well, I was a little apprehensive about the PSP version but considering the limitations of this portable console, the developers have actually done the game some justice. Although many of the PS3 elements are still there, in terms of a racing game, it's lacking some of the major mechanics which made the high-end console version so thoroughly entertaining. 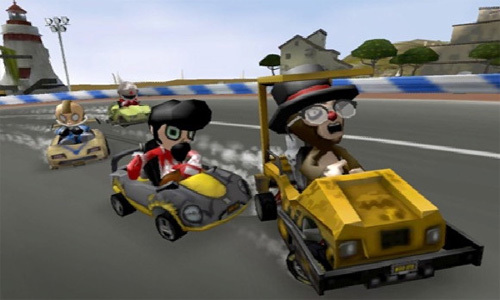 But then again, if you don't own a PS3 and didn't know what to expect from ModNation Racers, than thankfully enough, the game is still competent, especially as a kart game. 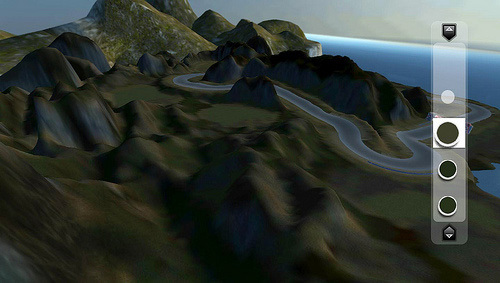 The main element of ModNation Racers is Play, Create & Share. 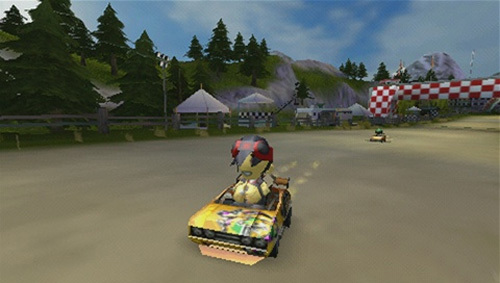 Not only does the game contain an interesting single-player career mode, it also gives the player a variety of multiplayer options that makes this game quite reminiscent of Mario Kart. And then, the game throws another element at the player with the Create mode which basically allows you to create your own tracks, vehicles and driving Avatars that can then be shared online. All in all, it's not a bad idea if you ask because it definitely makes it quite a community orientated game, like Little Big Planet. The control system works well on the PSP for most instances as you drift around a variety of cartoon inspired tracks but best of all, there is quite a large amount of strategy involved in the game from powerups to boosts and a shield system. Nothing is more satisfying than racing around the tracks and using your special powerups to knock your opponents out of the way or even better, collecting your powerups to boost them up which in turn creates a true gamble. The only bad thing about the control system is that it does take time getting use to the mapping of them on the PSP and they are not as responsive as the PS3 version. This means that at the start, you need to think before you move as opposed to reflexes. In terms or creation, that is probably the biggest issue that I had with ModNation Racers on the PSP. Given that the developers made the tools as user friendly as possible on this portable console, it's not as easy as the tools on the PS3 but given some time and practice, you can still create those virtual masterpieces. Where the game does shine is when it comes to multiplayer as the title allows you to race against friends or foes via wireless, both locally and through the internet with up to six players. Not a bad compromise, compared to the PS3 version and sharing your creations is just as easy as its all been implemented into the menu system quite well. Graphically, the title is pure eye candy on the PSP that mimics that Saturday morning cartoon atmosphere well, not to mention the soundtrack which is quite boppy and poppy. The environments are well designed and although they appear a little simplistic, it suits the whacky premise of this title and thankfully the developers have managed to capture that true element of speed in the racing. There are a variety of sound effects in the game from the grunts of the karts to the high speed crashes plus some great subtleties that with the gameplay, make this a rather sturdy gaming experience. In conclusion, ModNation for the PSP works as a good PSP game, however it's hard not to compare it to the PS3 version which it is based on. 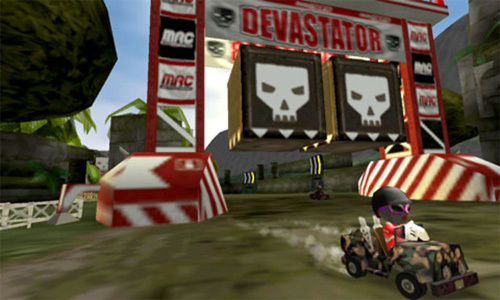 As a kart game, it succeeds on most levels and does give the player some great replay value with multiplayer and its creation tools. However, if you're the owner of the PS3 version, than it's best to stick with that but if you're a one person portable console person, than there's far worse racing games than this. It's still definitely worth checking out though!